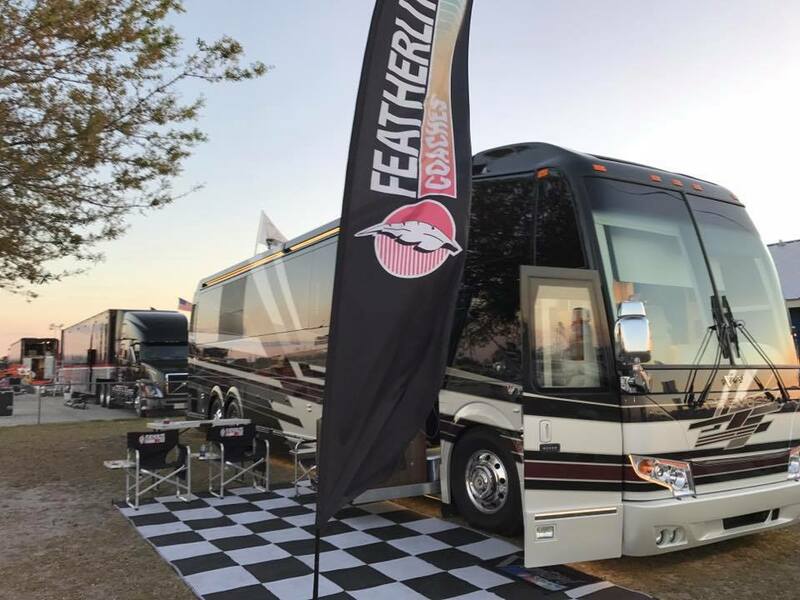 Visit with Featherlite Coaches at the Elkhorn Ridge RV Resort in site #69 during the 77th Annual Sturgis Motorcycle Rally. 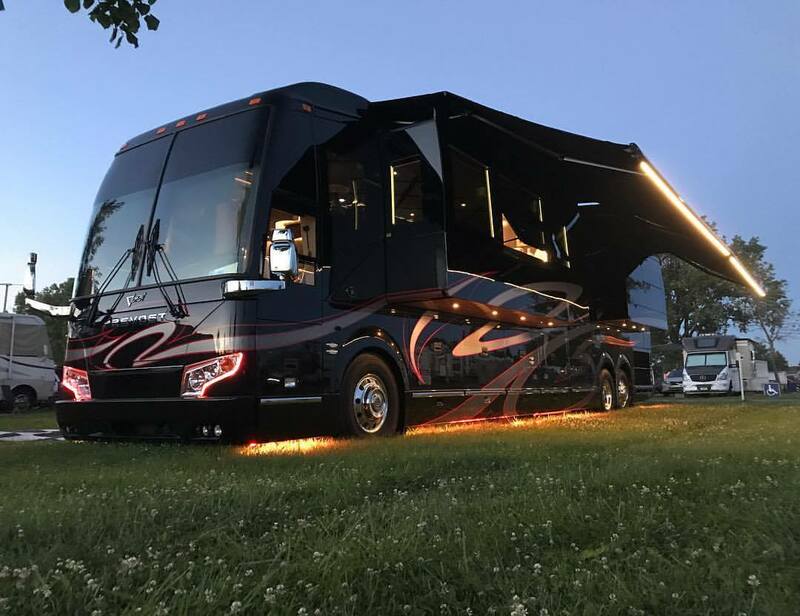 Stop by starting August 2nd and take a look at "Intimidator", a 2018 Featherlite Coaches double slide, bath and a half coach and spend time with Jimmy Adams and Mike Barnard. This coach is sure to impress with a unique layout, top notch materials and an entertainment system that is sure to blow you away. Featherlite Coaches will be hitting the road and heading to Tubac, AZ for the Bus 'N Biker rally April 22-28, 2017! Looking forward to a great event and some amazing riding territory. We will be arriving in style with this amazing 2007 Featherlite triple slide Prevost H3-45. Loaded with upgrades including new front and rear caps, upgraded electronics, modified HVAC and much more, this coach shows like a brand new Featherlite. Featherlite Coaches is heading to Bristol for the Spring NASCAR race and bringing three coaches! Visit with us and see this impressive 2010 Featherlite double slide and a one-of-a-kind custom painted new 2017 Eagle Heritage Edition. Also arriving in Bristol for the race will be "Intimidator," a new 2017 Featherlite double slide Prevost H3-45 conversion with a unique bath and a half layout that also offers incredible storage including a walk-in closet! Visit with Featherlite Coaches during the 12 Hours of Sebring March 15-18, 2017. Featherlite Coaches will be on-site with Prevost coaches for you to tour and learn about the leadership build qualities of a Featherlite Coach.